An app called Blind is connecting tens of thousands of employees at Amazon, Uber, Apple, Google and about 1,000 other U.S. tech companies. Blind is an anonymous message board for users to discuss, debate and gossip about compensation, corporate policies, workplace harassment, and more. Parent company TeamBlind launched the app in South Korea in 2014. It was modeled after an internal message board once used by employees at Naver, the South Korean equivalent of Google. At a time when workplace scandals are increasingly exposed -- from Uber's sexual harassment issues to HR startup Zenefit's frat bro culture -- there is a growing distrust in how businesses are managing employee complaints. Some employees are turning to Blind, and companies are taking note. Last month, Lyft said it is investigating accusations made on Blind that employees had improperly accessed its private data about riders. Lyft did not respond to CNN's request for an update on the matter. Blind doesn't vet the veracity of statements made on the app. The company relies on users to flag offensive content within company channels. (In fact, even its own employees cannot see posts within individual company channels unless it has been flagged, a spokesperson said.) But the company can proactively moderate posts made on its "topics" channels, such work visa and compensation forums, which are public. "If we see something that is sexist, sexual harassment, racist, homophobic, discriminatory in some way, hate speech, revealing company secrets, trolling or bullying, invasion of privacy, such as posting someone's phone number, spam, or irrelevant to the topic, we can take down that content — whether it has been flagged by the community or not," Blind's head of marketing Kyle McCarthy told CNN. Blind is more niche than other anonymous apps such as Whisper, or Secret, which shuttered in 2015. 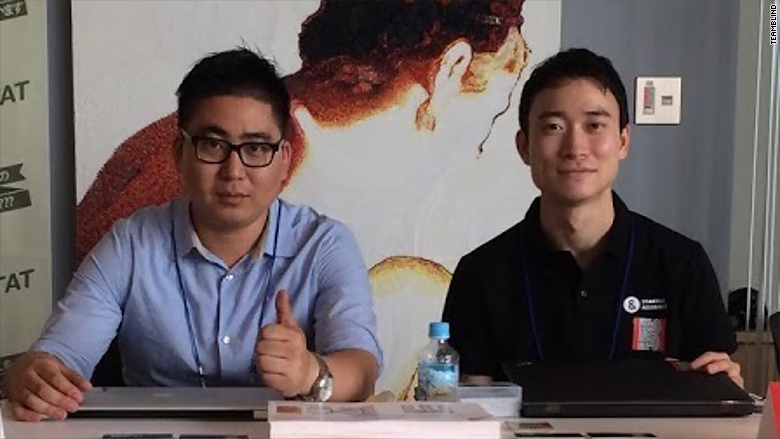 Cofounders Sunguk Moon (left) and Kyum Kim. To create an account, workers must use company email addresses. 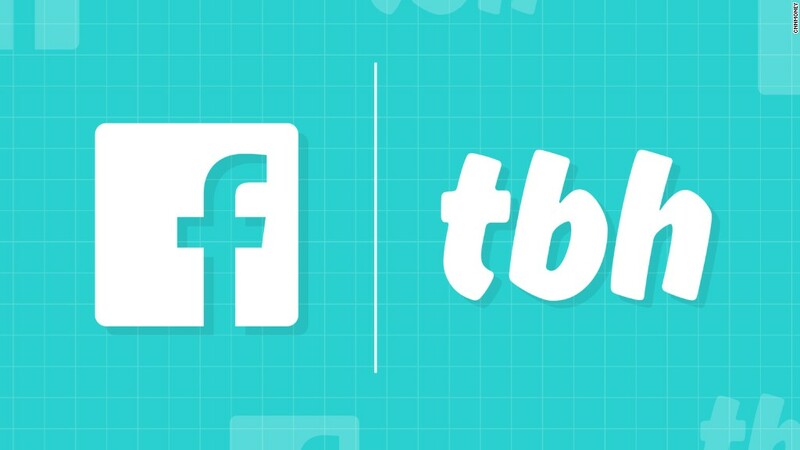 The company says there's no way to trace activity on its app to an email address. If its data were breached, its servers don't collect any information that would be able to identity a user, according to Blind. After signing up, employees are added to a company board that only employees of that firm can see. Private company boards are created after more than 30 employees at a tech company has joined and verified their account with their work email addresses. Company boards are not sanctioned by the companies themselves, though executives could join to gauge what their workers are talking about. In addition to company boards, Blind also has a tech "lounge" that allows for conversation across companies. When individuals post in the lounge, their user names and companies appear on the post for others to see. One user described the app as RateMyProfessors.com meets LinkedIn. It is a hybrid platform that allows users to weigh in on employers while simultaneously engaging with others. "We bring more communication to a place where there's a lack of communication — the workplace," said cofounder Kyum Kim, who is based in Seoul, Korea. "You can actually see what employees think because they are not talking to a company; they're talking to each other." South Korea's version of Blind tends to serve as a test bed for the U.S. product. Two weeks ago, that version got a #MeToo section, one of more than a dozen topic boards within the app. Beginning Monday, that exists within the U.S. app, too. It will provide a destination for discussion about sexual harassment, but threads of conversations can already be found on the platform. "Have you experienced sexual harassment, sexual assault, or sexism at your current or previous company? And if so, at which company and did HR fix the problem?" reads one thread on the platform. CNN has not yet received responses to request for comment from the six tech companies with the most employees registered for Blind. This includes Microsoft (MSFT), Amazon (AMZN), Google (GOOG), Uber, LinkedIn and Facebook. Employees are typically protected under a labor policy known as "concerted activity." They have the freedom to discuss things like terms and conditions of employment for mutual aid without fearing company retaliation. "Giving victims of workplace sexual harassment and assault a voice on our platform is consistent with our mission to bring transparency to the workplace," Blind's McCarthy said.